I meant to post this yesterday but I have just noticed it sitting it the editor waiting for me to hit the Publish button! Just a quick note to wish you all a Happy Easter. I am taking a few days break from the blog for the Easter Holiday. I feel I need it after the scare of the last couple of weeks! I am never off duty completely so will still be looking out for stories and also hope to be out on Saturday taking pictures as the bus scene in Plymouth has suddenly changed. Its not a case of looking out for the one bus you need to update your records - there are loads of them now I have to catch! See you all Tuesday - and be good! 29/43B - Enviros; saw 135 and an 08-reg Enviro, aswell as a Y-reg SPD. 42 - 03-reg Transbus SPDs, a big change from the N/R/S-reg ones previously used! 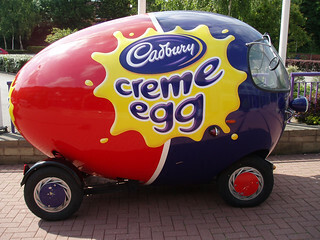 Have a good easter Graham! 49 - a dart of sometype, have seen a 54, a R and a S on it this week. For the record, one of the new Volvo wright buses was on a bank holiday afternoon run on the 41 yesterday (fri 6th), couldnt see which one it was. The 3 spare Volvos will be used on the 43A. Although I thought I saw one on the 41 today as we had 100, 102 & 133 43A today. The 50/61/62 all 'change into eachother'. I've seen a Citaro on the 62 before heading to Derriford, this would then change to a City Centre-bound 50. The 20 and 22 have similar buses, usually Mon-Fri it's 60,61,62,63 on the 22, then 64,65,66 on the 20, and vice versa on Saturdays; 60,61,62 on the 20 and 63-66 on 22. 67 though seems to be very popular on the 22! I saw 3 '03'-reg Transbus Darts on the 42 on Saturday, and 71 on the 40/41. These tend to get used on the 28B/29/34 evenings and Sundays. I've never seen a B7 leave Royal Parade on the 50; though I frequently see one on the 62 during the week to Transit Way. This bus then pulled into Derriford not in service; surely this should've changed into a City Centre 61/50? Tom, I think it's in high demand for a proper list to be created online, along with fleetlists for Citybus & First in Plymouth, I can't find them anywhere! I'm onto it! I fonud a fleetlist for Citybus which I've updated; I just need to check with the original author whether it's okay for it to be uploaded. I never use First services due to living in Plympton, so I barely know anything about FDC unfortunately. I know 183, 188, 132, 214, 215, 216 have all be withdrawn from use. Didn't know that about 183/188 and 132! I'm hoping that I'll get a ride on a B10M on the 16th! Citybus have confirmed in an email to me they will still use the B10Ms after the Easter break. Am almost there now, just updating the liveries. Should be ready very soon. Please download the spreadsheet file, it makes it much easier to read and more importantly you can see the disclaimer. Any mistakes/corrections please let me know! Says the files font exist? Volvo deckers 183,188 were all withdrawn last week. More Slf's will be withdrawn at some point no doubt. Strange as I only saw 188 on the 16 about a month ago. What's everyone's opinions on the fleetlist then? I would be really grateful for any feedback; good or bad. Yes, fantastic work on the fleetlist, just what was needed, I'm sure many of us will keep you informed on whats going on. Strong rumours suggest that Citybus will be reducing the amount of buses on the roads between 10am & 2pm. That got me thinking; should there be a little 'box' or something on the homepage for people to post fleet updates/buses spotted etc? Similar to the 'PTOTPA Live' box. Anyway, do you think this will be the end of the N-reg darts? East Lancs? and if so for what purpose do they use it? I doubt they do; well spotted! They still own 201 Leyland Titan though, available for private hire such as weddings etc. Someone said 2 had gone but I'm not too sure. They are all due to go soon. I can almost guarantee all B10Ms will be withdrawn at the end of the academic year, since Citybus is scrapping all school buses, except the contract buses, which will more than likely be operated by B7s that used to do the other school runs. Excellent fleetlisting; much clearer and more easy to read. will try and sort out a First fleetlist soon! 176 - is this not in preservation? 29 – still in Art show livery, lets hope for not too long, as it is not out of date! Do the list of Optares , 210-213 need to be added in the list? Thanks Tom. I have no idea why the advert for 29 was not on my list - just seem to have missed it! All 4 Optares, 210-213 have all left Plymouth and did so late last year. I don't know the name of that company at Newnham Road in Plympton, but in October 3x ex-Citybus 709Ds were there. 176 is indeed in preservation with the PCTPG, and F606GVO was withdrawn and sold a long time ago, it carried an all-over ad' for 'Down2Business'. From when I last saw 29, it did indeed still carry the British Art Show advert. Maybe this bus is due a repaint into the new Go-Ahead livery, since the front's been done? re 29 bus si still out an about in this livery. As for the front - its now pretty much standard practice to have the front in the current livery for advert buses. It does not signify that the bus will soon loose the advert. Clearly when it does though it will pretty much have to be repainted in the new livery - or have another wrap. really like what you're saying and the best way in which you assert it.